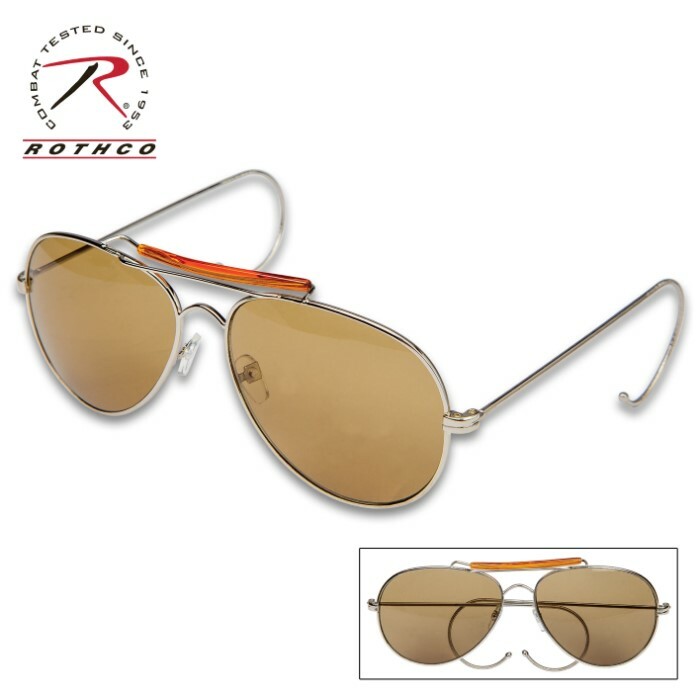 Rothco Aviator Brown Sunglasses With Case - 58MM UV Acrylic Lens, Genuine Pilot Design, Curved Flexible Earpieces | BUDK.com - Knives & Swords At The Lowest Prices! 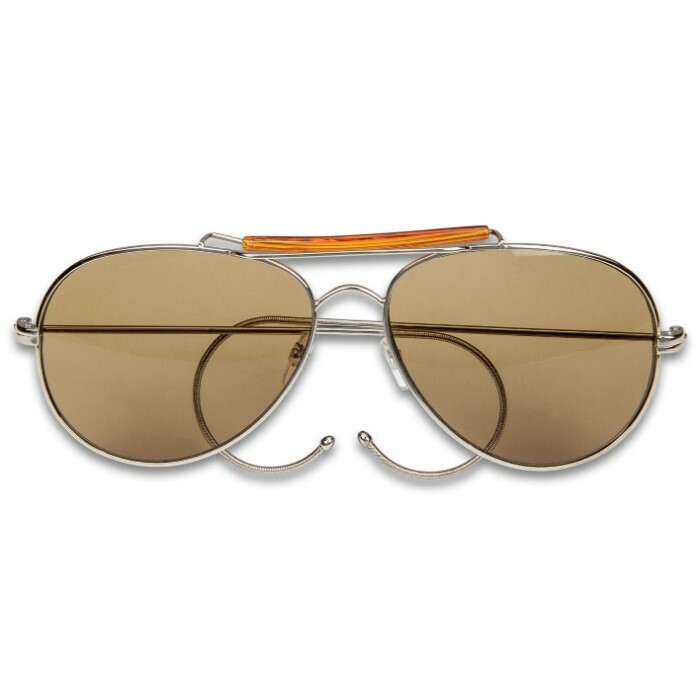 Aviator-style shades have been the most popular style of sunglasses for decades because, seriously, who doesn’t look good in a pair? A style that can be worn by both men and women, the sunglasses look great with anything you wear and immediately boost it up to cool! The Rothco Aviator Brown Sunglasses were crafted to replicate the original pilot’s design used by the United States Air Force. 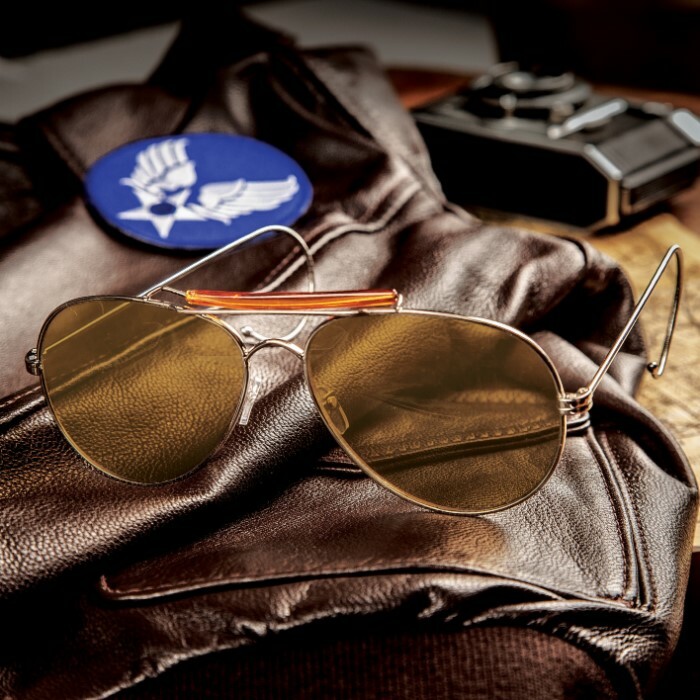 These genuine pilot’s sunglasses feature brown, 58 mm UV protection acrylic lenses for maximum protection against the sun and an acrylic encased, curved top bar for maximum comfort against your face. The feature, however, that lets you know the design is genuine is the curve around, flexible ear piece. 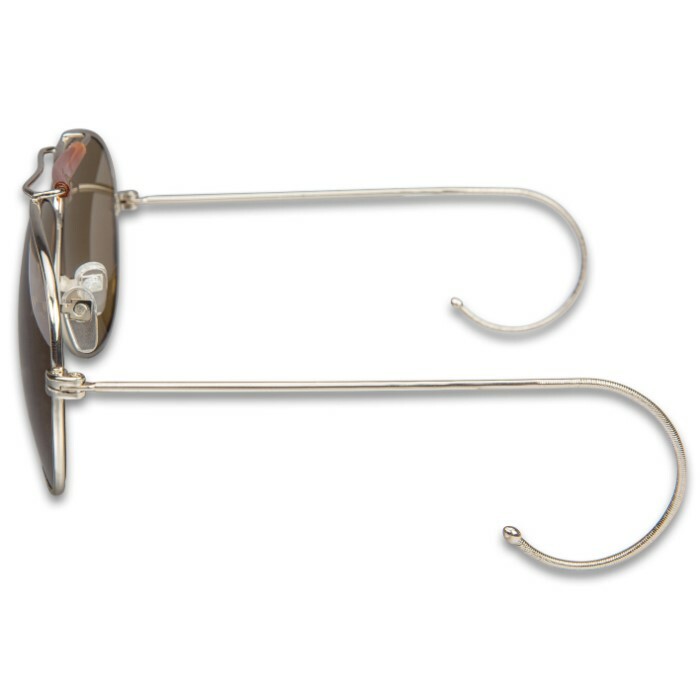 The sunglasses were built to stay put even if you’re performing an inverted spin. Count on them to stay on wherever your adventures take you! 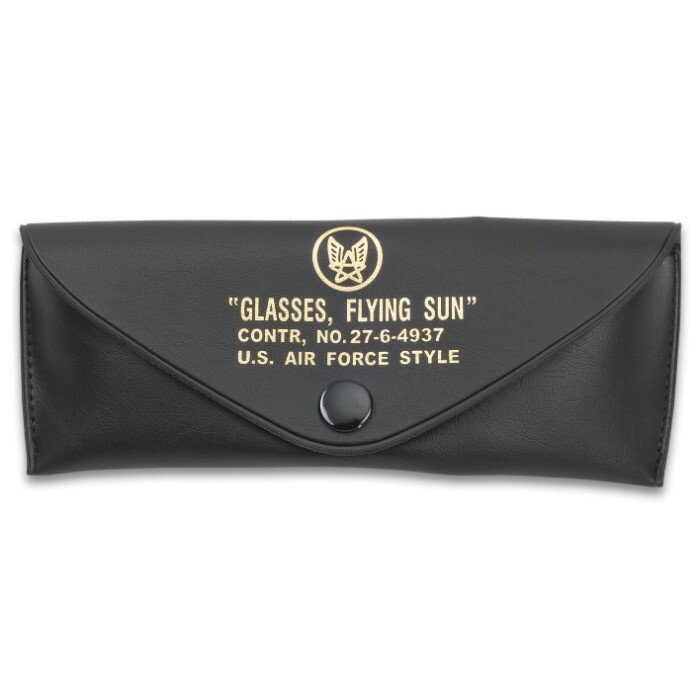 Included with the Rothco Aviator Brown Sunglasses is a vinyl case for easy carry.